High impact. Low maintenance. What property manager wouldn’t want to get those two things out of their commercial landscape — at the same time? One way to accomplish this feat is through sustainable commercial landscaping with ornamental grasses. Today, ornamental grasses are gaining some nice recognition for their environmentally friendly qualities, including drought tolerance and pest resistance. Available in multiple varieties, textures and heights, they are also stunners in commercial landscapes. When used correctly, grasses will shine year round in borders, as screens or ground cover, and even in planters. If you decide to use ornamental grass as a ground cover — particularly for hard to mow areas or to replace turfgrass — you will also benefit from its deep roots, which help stabilize steep slopes and also prevent soil erosion. Ornamental grasses are considered fast growers and, depending on the variety, can reach a height of 8 to 10 feet tall. That makes them perfect for creating a natural fence in the landscape — providing privacy and wind protection for patios and other exterior common areas. If there are curb areas or landscape borders on your property susceptible to traffic abuse — foot or car — ornamental grasses are a striking and durable option for the vulnerable annuals and shrubs you may have previously had planted in your landscape. These grasses will also bring volume and year-long color to your property. Thriller, spiller or filler — ornamental grasses can be used to add height, movement and a bit of the unexpected to large container plantings. Great for those commercial property managers interested in water conservation, ornamental grasses typically survive and thrive without serious irrigation demands. They also stand up to harsh summer heat better than most landscape plantings. The same can also be said for standing up to harsh, dry winter weather conditions. Ornamental grasses have a great track record when it comes to pest and disease resistance. Rarely bothered by the two landscape problems, this means grasses won’t require much in the way of chemical pesticides (and fertilizers, too), which also means you’re not polluting any water runoff that may occur. The hardiness of most ornamental grass varieties bring commercial landscapes visual interest 365 days a year, particularly in the winter. Depending on the look you’re going for, grasses are available in many different shapes and sizes — mounding to vertical, spiny to feathered, blue to red. These grasses also add a bit of gracefulness to landscapes by the way they wave, shimmer and rustle in the wind. 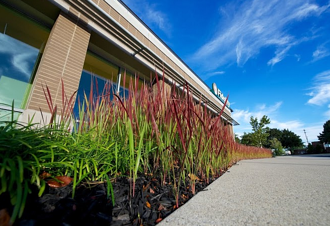 Low maintenance, drought tolerant, fast growing, year-round interest — it’s hard to argue against the use of ornamental grasses in your commercial landscape design plans. Take advantage of their benefits this spring. 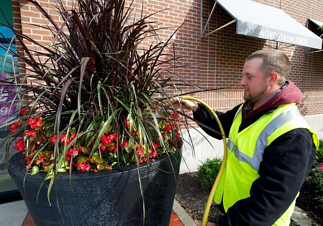 If you are interested in having ornamental grasses planted in your commercial landscape, give Schill Grounds Management a call at 440-327-3030, or fill out our simple contact form and we’ll get in touch with you. Cool or warm season? Clumping or spreading? 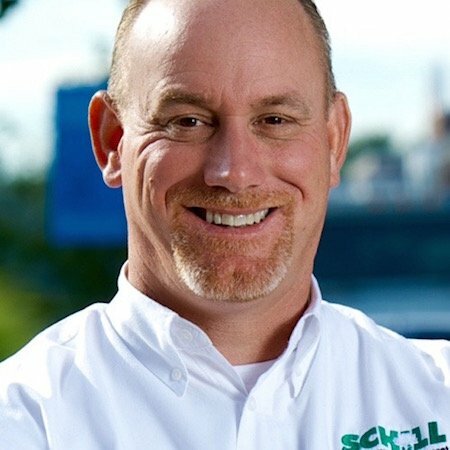 Schill’s experienced commercial landscape design team can help you pick out the right ornamental grasses for your commercial landscape.